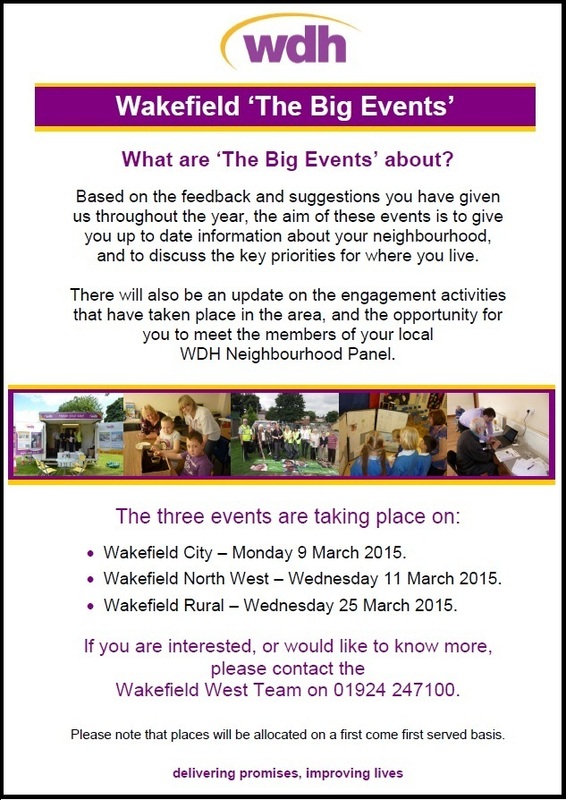 We are holding three ‘Big Events’ in Wakefield to discuss with tenants how we make a difference in communities. The sessions will take place in the City, North West and Rural neighbourhoods of Wakefield and will give tenants a chance to put forward their ideas and priorities for the future of their areas. 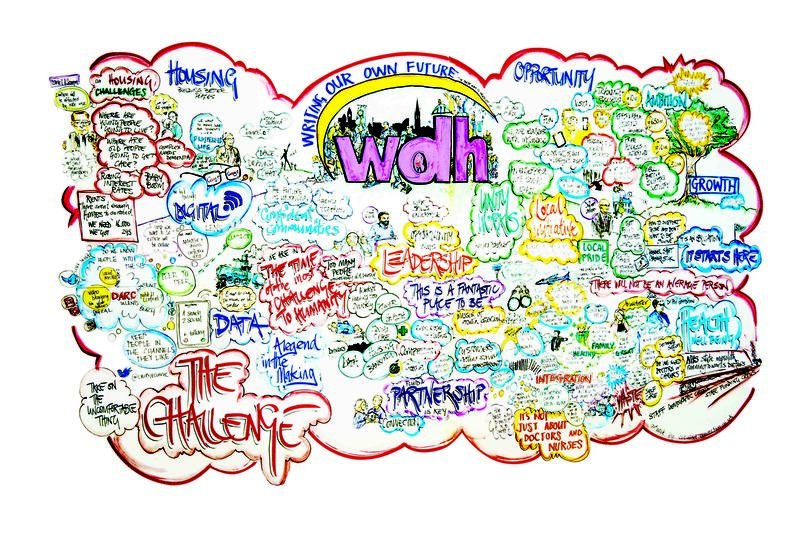 The main themes to be discussed are how we engage with tenants, the support offered by WDH to community groups, which partners WDH should be working with and how we publicise our success. Updates from the neighbourhoods and on engagement projects will also be given and those who attend will have the chance to meet their Neighbourhood Panel. The first session takes place in the City neighbourhood on Monday 9 March at St Swithun’s Community Centre in Eastmoor from 10am to 12.30pm, with places available on a first come, first served basis. 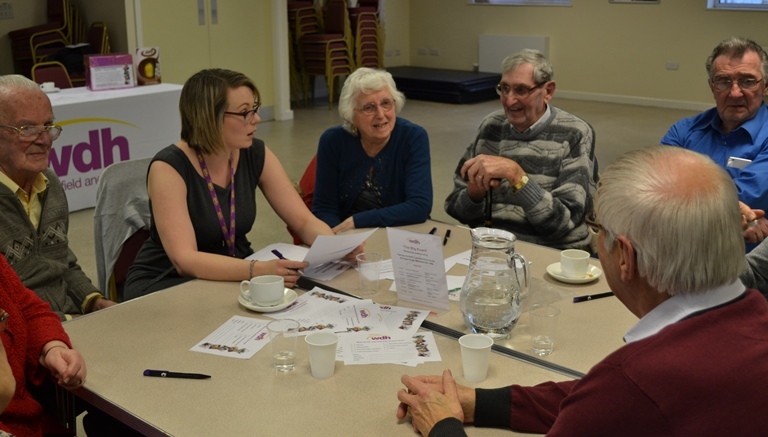 Future Big Events will take place at Wrenthorpe Village Hall on Wednesday, 11 March (2pm to 4.30pm) and at Agbrigg and Belle Vue Community Centre on Wednesday, 25 March (5.30pm to 8pm). Refreshments will be served at all three events. To book your place, contact the West Area team on 01924 247100 or email annebritton@wdh.co.uk (City), kathutchinson@wdh.co.uk (North West) or chriscroxall@wdh.co.uk (Rural).